The Hospital in the Rock Museum was a functional hospital turned Nuclear Bunker built in the beginning of WWII. Flowing deep into the caverns below Buda Castle in Budapest, Hungary, the hospital system was created by connecting the main tunnel system via manual labor. Used for many years by inhabitants of the castle, it has been said that the caverns doubled as a jail for many years. 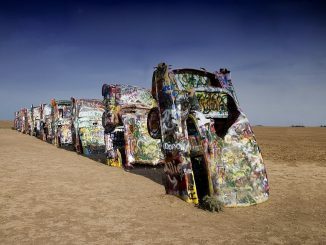 By unknown, Image courtesy “Riado” civil defence news – “Riado” civil defense news. 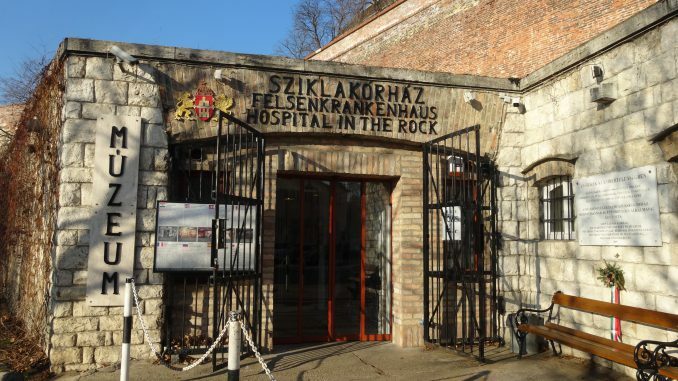 The Hospital in the Rock saw its most heavy use as a hospital during the Siege of Budapest (1944-45) where care was given to the wounded and the deceased were processed. The dead were sent out of the hospital at night and buried in bomb craters. There were some dark times for the little hospital, and during parts of the war they were without food, medicine, and supplies. 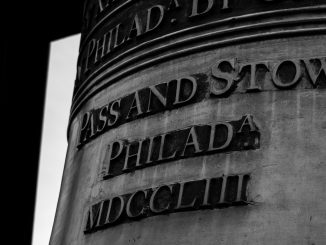 During these times recycling was required and materials needed were removed from corpses, sterilized, and reused on the injured. Originally designed to care for 60-70 patients, during the height of the Siege of Budapest the hospital was used to treat and care for over 600 wounded soldiers. In the uprising against the Soviet rule in the 1950s, the hospital was once again used to care for wounded in 1956. The hospital was then repurposed as a nuclear bunker and was necessary to keep 200 doctors and nurses safe and available to treat wounded if there was ever a need. Nobody has ever had to take up full time residence in the bunker except the caretakers. Mr. Mohácsi, the caretaker from the 1960s on, and his family were responsible for many repairs and daily maintenance of equipment including making the 200 beds and insuring the air handling system was in working order. The Hospital in the Rock turned into a museum in 2007 and has a collection of interesting Soviet era equipment, anti-radiation kits, spying tools, and waxwork recreations of hospital scenes. Sometimes it is possible to purchase old equipment from the museum left over from the operational days. Due in large part to the Hospital in the Rock Public Benefit Nonprofit Company, the Hospital won a Certificate of Excellence Award from Tripadvisor each year since 2012 and has become a popular tourist destination for world travelers and Hungarians alike. 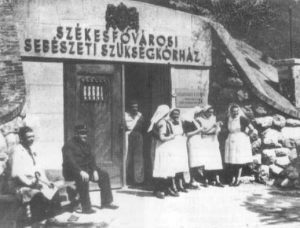 During the siege of Budapest (1944-45), the hospital had to treat more than 600 wounded soldiers and civilians. The little hospital was originally designed to treat roughly 70 patients at a time. After the WWII, the Hospital in the Rock was used just once. 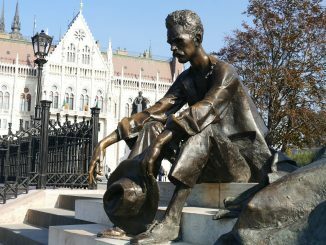 In 1956, during the Hungarian Revolution. The Hospital in the Rock is open year-round and guided tours are organized everyday. There are nearly six miles of natural caves and tunnels beneath Buda Castle Hill.